All of these ministries are open to all members of our Parish and we encourage everyone's participation in one or more ministries! The Greene County Mission trip is typically the first week in June. Volunteers participate one or more days in doing home repairs, cleanup, etc for those in need as identified by the Guadalupe Sisters that work in the area. This work is in conjunction with volunteers from at least four other Birmingham parishes. Skilled and unskilled workers are welcomed. To gain a better understanding of the Church’s social mission from Scripture, the Church’s historical witness, and Catholic social teaching. People who want a new perspective on themselves and the world’s needs. People who want to learn more tools to work with those living in poverty. On the first Monday of the month, parishioners of OLV, fund, prepare and serve a breakfast meal to those who are homeless. If you wish to donate your time, talents or funds, please contact Larry Toups at 991-6633 or email: larrytoups1@gmail.com. On the third Tuesday of the month, parishioners of OLV, fund, prepare and serve a dinner meal to men and women who are transitioning from prison back into society with Shepherd's Fold. We then briefly fellowship with them in a structured environment. If you wish to donate your time, talents or funds, please contact Theresa Leurck at 410-8239. When someone you love has a mental illness, where can you go for encouragement and confidence to either help deal with the illness of your loved one, or to find support for yourself? Both are important to endure the course of mental illness on the way to achieving better mental health. 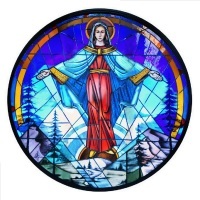 Our Lady of Valley Church provides a support group to help us “bear one another’s burdens.” Our church is a sanctuary for those of us struggling with a family member who bears the cross of mental illness. Our faith community can help break the stigma of mental illness by breaking the silence. This support group is intended for those family and friends whose loved one is dealing with mood disorders; such as: anxiety, depression, PTSD, personality or psychotic disorders. The group meets the first and third Mondays of each month. If you or anyone you know would be interested in learning more about this support group, please contact either Jan Naccari at 531.2966, or email her at jannaccari@gmail.com, or call Wayne Naccari at 563.9865 or email him at wnaccari@gmail.com. “People are sacred creations of God.” Pastor unknown. Let’s work together for better mental health conditions. The Society is made up of OLV parishioners who respond to requests for help to OLV Church. Under the direction of Monsignor Paul Rohling, the group meets with those who are in dire need. If you are interested in participating in this ministry, please contact Larry Toups at 991-6633 or email: larrytoups1@gmail.com. Help pay for feeding breakfast to the homeless every first Monday of the month. Make checks out to OLV with "Homeless Meal Fund." Get check to Kurt Hertrich (205-403-2900).